Polka Dot Overload | Sewing, knitting & vintage projects, tips, tutorials and cartoons! 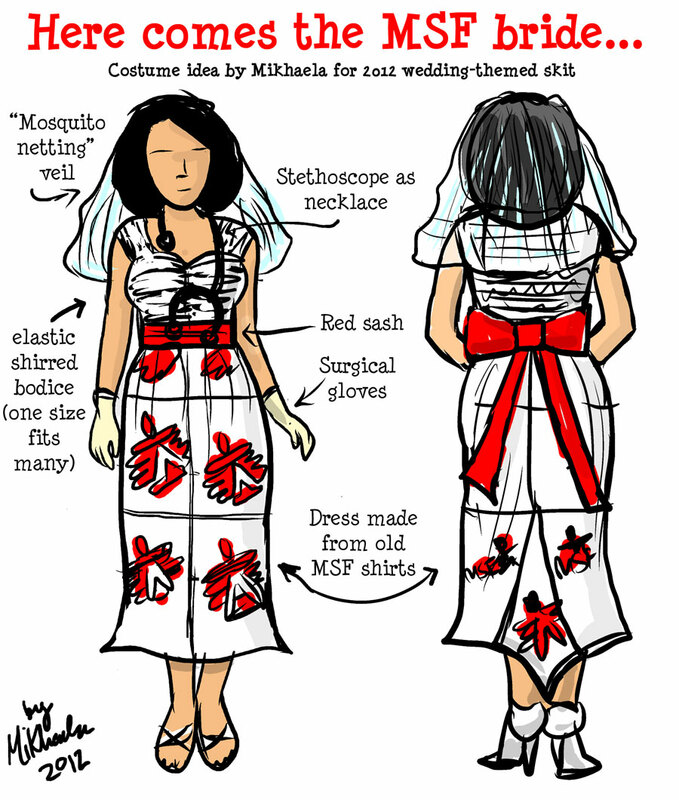 : Adjustable Wedding Dress for a Mystery Bride (with a Mosquito Net Veil)! 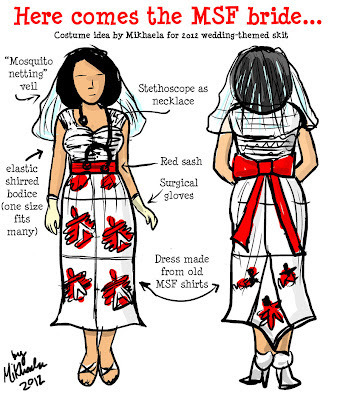 Adjustable Wedding Dress for a Mystery Bride (with a Mosquito Net Veil)! In less than three weeks. For a bride you've never met and can't measure or get measurements from. So: ADJUSTABLE. With little to less money (i.e. what you can scrounge up around the office). CHEAP CHEAP BEYOND CHEAP. In your spare time between working, parenting, and having a life and trying to finish a bunch of freelance illustration projects. Also: Make it funny to humanitarian aid workers. I've mentioned before that I have an awesome job, working in marketing for the emergency medical relief organization Doctors Without Borders/Médecins Sans Frontières (MSF). It's generally very serious humanitarian business, but once a year at the afterparty for our annual general assembly, some of us put on a little skit with sketches, music, dancing and costumes. And this year, part of our skit involves a wedding—and somehow, I found myself volunteering to make the dress. Even though we're not quite sure who will be playing the bride, so I somehow have to design it to fit ANYONE. (I'm also supposed to come up with some kind of over-the-top bridesmaid outfit for myself, which I'm still puzzling over). I actually used to own a copy back in the days before it went out-of-print... but after I realized I didn't actually have the chops to make my own wedding dress, I up and sold it. Which I am so kicking myself for now, since it seems to go for like, $300 used (even though you can buy as a CD book now). ...But I think I'll go even simpler here. The bodice will just be a tube with tons of elastic shirring and a gather to make the sweetheart neckline, and the skirt will be a separate tube of T-shirts, with a flounce in back and a red ribbon sash (and maybe an elastic?) to gather the waist. 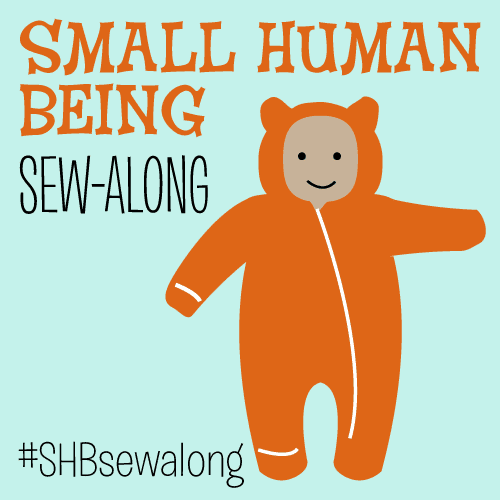 I won't bother with hemming. EASY, right? The accessories are obvious: a "mosquito net" veil, elegant yellowish surgical gloves, a stethoscope "necklace." Haven't figured out the bouquet yet--I might just make it out of paper flowers, or maybe surgical masks? Let's hope so, because I want to get on those Jalie jeans... and I have the Cambie dress coming in the mail... I am such a bad pattern-buying-past-capacity-for-pattern-sewing girl. 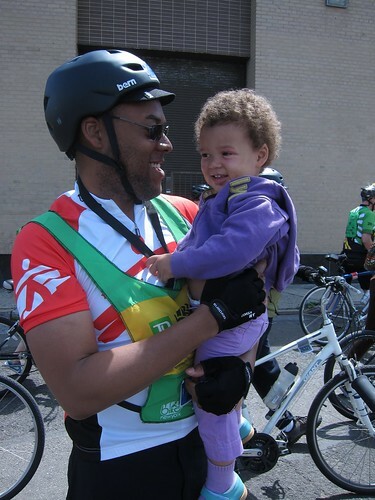 I even once hosted a T-shirt refashioning party using the Nicolay book and it was a lot of fun, though my T-shirt transformation didn't turn out wearable (tip: use super-soft thin old T-shirts, not thick unyielding scratchy thick T-shirts). So: do you fancy T-shirt refashioning? Have you ever made a T-shirt dress? Conversely, are you so super-fancy you actually made your own lovely wedding dress (NOT from T-shirts)? 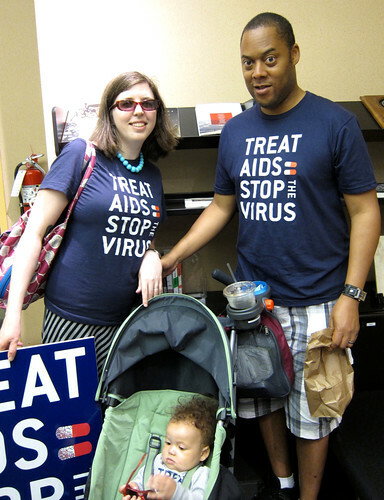 And here's a photo of us from last year heading out to an AIDS rally with the MSF office. We were protesting in support of scaling up access to AIDS medications for people living with HIV worldwide. I made Z a matching onesie with an iron-on T-shirt transfer. 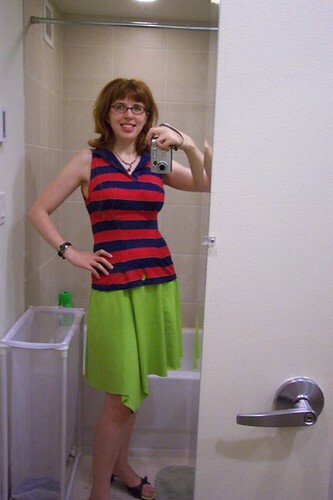 I almost refashioned a bunch of t-shirts into a skirt, until I realized at the 80% mark that I wasn't in high school anymore and it didn't feel like something that represented me as an adult. Oh, well. I used to love refashioning tshirts - that's why I started using a sewing machine in the first place, actually. I went to lots & lots of punk/hardcare shows 'back in the day, and always the smallest tshirts were too huge, so I learned how to fit them :) I don't wear tshirts so much anymore (well, band & novelty tshirts, I mean), so reconstructing has gone by the wayside. For your tshirt bridal dress, maybe consider putting a drawstring at the waist so the wearer can adjust the size there more easily? Then you can cover it with a red ribbon sash :) You could also consider putting a corset in the back, to make the bust more adjustable, but that may end up being more trouble than it's worth. Oh, the drawstring is a great idea! I was also thinking I could maybe make the skirt a wrap skirt... corset sounds awesome but also like a lot of work! It was my gateway drug too, but I haven't done any in the last several years. The wedding dress design is ingenious! The most I've done with T shirt redesign is to take thrifted tees with cool graphics and use the fronts to make a pieced blanket. I did a t-shirt refashion project recently, using the motif as part of a sports top. The skits sound like a fun way to blow off steam.